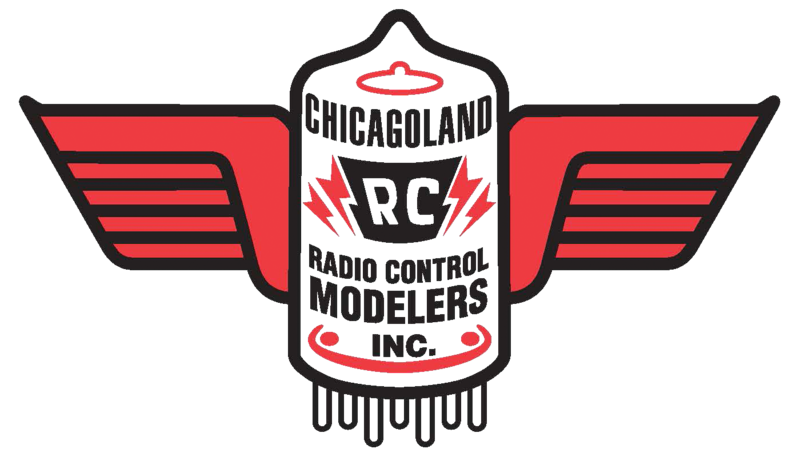 Chicagoland Radio Control Modelers, Inc. was founded in 1948 to promote radio controlled model airplane flying for the enjoyment and recreation of its members. We are a non-profit organization and all dues and monies received are used to maintain our flying site or to promote club activities. Our founder was Frank Madl, who conceived the original spring nose landing gear. He submitted the idea to Flying Models magazine and received a $5.00 award for it in 1957. Our current flying site is the club field’s seventh location. The original site was near the Glenview Naval Air Station. Next, it moved to an area south of O’Hare airport near the railroad switching station, then to an actual O’Hare runway during O’Hare’s construction. The field was then moved way north to a Nike missile command base around Half-Day. Finally, it was relocated to the Busse Woods area: first north of Higgins where the lake is now, then south of Higgins and last to the current location south of Golf Road. Our club runs programs tailored for our members. Meetings are generally held on the first Friday of the month at the Schaumburg Airport. The Airport is located at Wright and Irving Park Roads, just west of Roselle Road and South of the Elgin O’Hare Expressway. The meetings start at 7:30 PM and at the conclusion of the meeting we meet for some food and drinks at the restaurant on the main floor of the airport. Check the EVENTS section for exact dates and times.